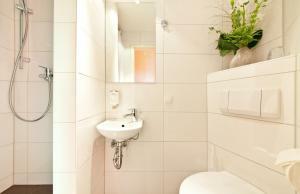 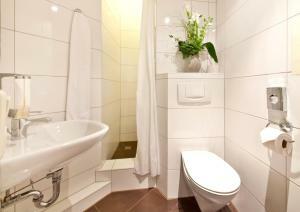 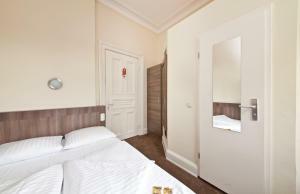 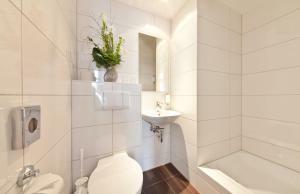 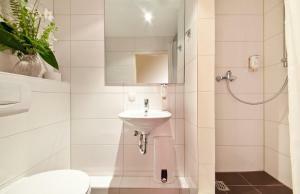 Brightly decorated room features a flat-screen TV and shared bathroom facilities in the hallway. 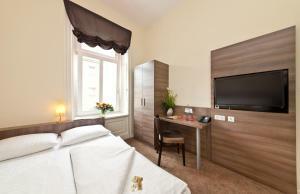 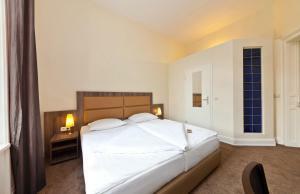 Brightly decorated room features a flat-screen TV and a private bathroom. 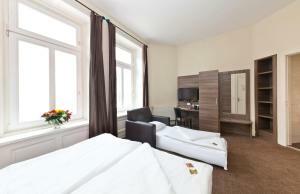 Brightly decorated room features a flat-screen TV and shared bathroom facilities in the hallway. 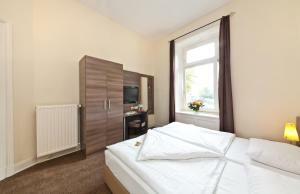 Please note that the double bed can only be accessed from one side. 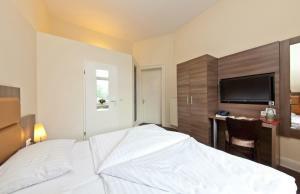 Brightly decorated room features a flat-screen TV.